Playing the blues is never as simple as it seems. It’s a balancing act between virtuosity and feel, rawness and finesse. 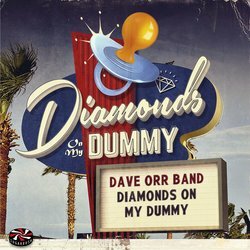 Many try, but few seem to nail it like the DAVE ORR BAND.. At the heart of his music is that unmistakable guitar and groove. It’s the sound of late night bars, of musicians stretching themselves and just letting loose. It’s a scene that Dave knows better than most as he has become nothing less than a fixture of the Brisbane music scene over the past decade. A legend even that has shared more stages with more artists than even he could remember. Rewind a few years and Dave was performing with the kind of all out fusion acts Brisbane seems so good at producing – rock, pop, ska, funk it was all there. In his heart though, Dave has relished years of late nights rocking up to bars with his beat up Gibson and losing himself in music. Despite playing just about any style you could name over the years, he has always found a home with guitar driven Americana, and it’s a sound he has nailed on his forthcoming debut solo release, due out early 2019.. There ain't no privacy or prying, I'm takin pictures on my phone while I'm drivin, so come a clickin on my dreams you can buy in. This new meters style groove instalment by Dave Orr Band reflects on the insta world of a rising star, perception is the key to his growing followers and like count.